Dr Sylvia Earle, marine biologist, oceanographer. At WildQuest, we’re strong advocates of ocean conservation and do everything we can to raise awareness and protect our beautiful blue planet. Spending time in the ocean gives us so much insight into this magnificent underwater world and we get to ‘know’ the beautiful creatures we meet. Sometimes people ask whether swimming with wild creatures is harmful. Our view on this is that by connecting with the ocean in the most respectful way possible, we’re helping to learn more about this underwater world so that we can protect it. 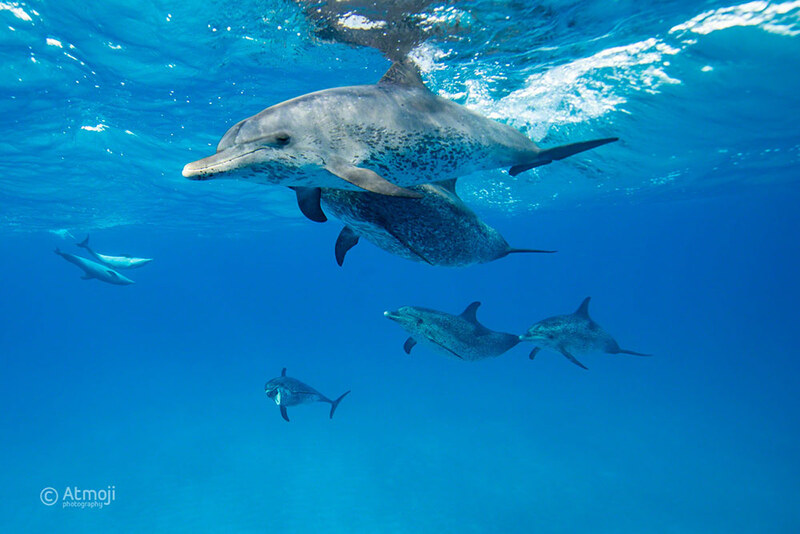 We feel that not only can observing and connecting with dolphins help to raise awareness about marine life issues, but it can also inspire scientific research, ultimately contributing to the conservation of the oceans. There’s a quote that says, “it’s harder to care for something you do not know.” Evidence suggests this to be true. 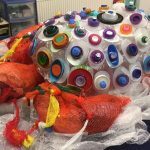 If we look at the damage humans have done to our oceans and marine life, through ignorance and carelessness, it would suggest we have a long way to go before we “know” our oceans enough to truly care. The more we learn and connect with the ocean and its inhabitants, our desire as a species to “care” will surely become stronger. The more we educate ourselves on the magnificence of these creatures, and the beautiful underwater world they co-habit, the more we’ll surely step into our true roles as protectors, not destroyers, of the planet. 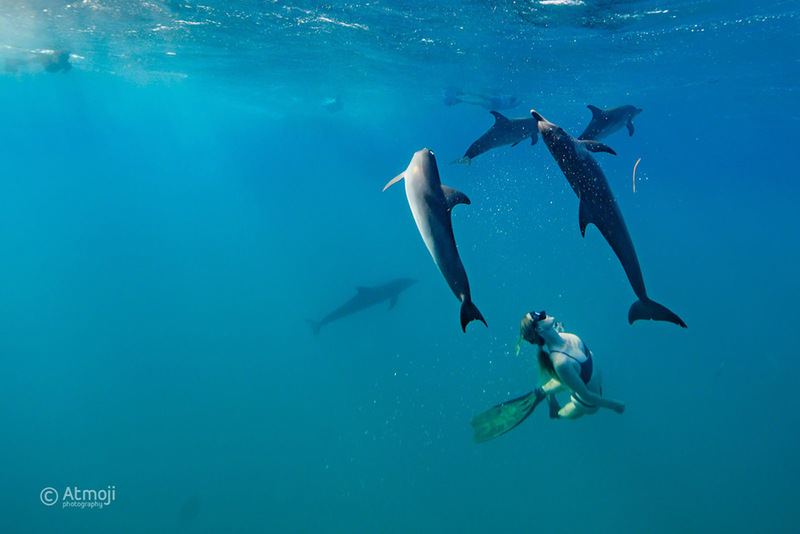 If anyone is in doubt about swimming with or connecting with wildlife when on holiday, traveling or some other trip, we’d recommend researching the organisations you choose to go with. Ensure you’re always being respectful of wildlife and following any relevant codes of conduct, such as no feeding or touching. 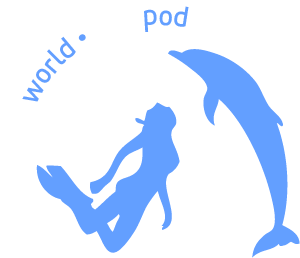 At WildQuest, our time in the ocean is always enjoyed with utmost care, and we have a very thorough code of conduct for interacting with the dolphins. 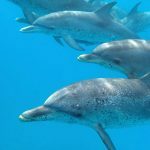 This was written by veteran dolphin swim operators near Bimini, headed by Kelly Sweeting of the Dolphin Communication Project, with the long term well-being of the dolphins in mind. We’re proud to offer such a unique opportunity to connect with wildlife in this respectful way, and would always encourage connection with the natural world as being one of the most healing experiences for humans and the planet. If humans were to become any further disconnected from the ocean and wildlife, who knows what damage we, as a species could inflict, having already landed ourselves in the planetary crisis we now find ourselves. Mindless slaughter and hunting, plus damage being caused by colossal pollution, shipping and plastic waste has made humans the number one predator of many wildlife species, and it seems ignorance and greed are the main culprits. So if we want to bring about change, we can all do our bit by learning about and connecting with our fellow inhabitants. Respectfully. As the above quote by Sylvia Earle, marine biologist and oceanographer, suggests, only then might we ‘know’ them enough to care.